Do you love a great underdog success story? Try to name another vaping company that’s risen from obscurity to prominence as quickly as Geek Vape. Geek Vape’s success comes down to just a few simple factors: solid design, constant attentiveness to customers’ needs and a commitment to always innovate in the right areas. The new MarshMellow coil is a perfect example of the company’s commitment to innovation. It’s the first vaping coil on the market that uses luxury Egyptian cotton rather than the Japanese cotton that most coils use. Geek Vape’s Egyptian cotton is supremely absorbent, and it’s free of all pesticides and bleaching agents. Do you think you’ve tasted the purest flavor that a vape coil can produce? Until you’ve tried the MarshMellow coil, you’d better think again. 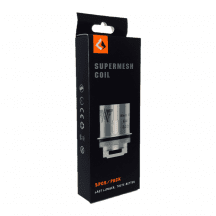 Whether you’re looking for Geek Vape Super Mesh coils or another replacement coil from Geek Vape, you’ll always find the best prices here because you’ll never need to worry about paying shipping charges. 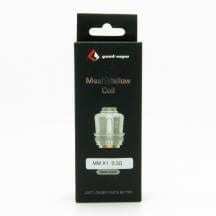 We ship all retail orders for free, and we always guarantee that our coils are authentic products shipped directly from the original factories. It’s time to get your vape on — your Geek Vape, that is!